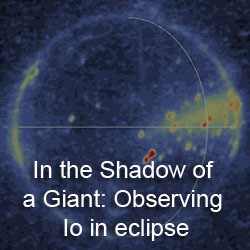 Julie Rathbun and John Spencer have a talk scheduled for the morning of October 15 titled, "Io Eclipse Observations: Determining the History of Loki’s Flux at Multiple Wavelengths." 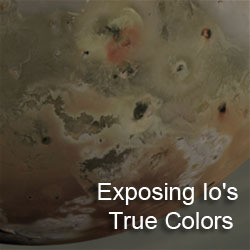 The abstract just summarizes Loki's importance to Io's total heat flux and Rathbun and Spencer's theory for Loki's observed activity. 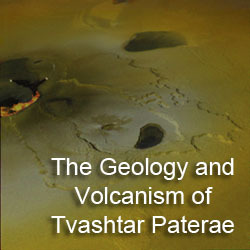 The talk will cover their work on separating Loki's contribution to the observed heat flux from the other volcanoes on the sub-Jovian hemisphere. They will then discuss Loki's extracted brightness at three wavelengths in the near-infrared. Erinna Chen et al. will present a poster covering her group's summer school Team X project, a New Frontiers-class Io mission concept. The mission, which they call Argus, would use a high-inclination orbit around Jupiter and would flyby Io at least 40 times. The mission would use Advanced Stirling Radioisotope Generators (ASRG) as a power source, pushing the mission to after Discovery 2013. The payload included in the study would consist of a narrow-angle camera, a thermal imager, an NIR spectrometer, a UV spectrometer, and an INMS-like instrument, similar to the IVO Discovery mission concept, but with more advanced instrumentation and 4-10 times the number of Io flybys, so presumably the increased cost between the Discovery mission concept and this New Frontiers mission would be taken up in increased payload size and radiation shielding. Differences between the two ISS observations may be due to changes on the surface as a result of precipitation from a large cloud system observed in Fall 2004 (Schaller et al., 2006), although diffuse clouds or atmospheric scattering could also play a role. The meeting will occur between October 10-15 in Ithaca, New York on the Cornell University campus.